Magical Urban Fantasy Reads: Top 10 of 2014 - Reminder! Top 10 of 2014 - Reminder! Hey everyone! This is just a reminder to sign up for this awesome upcoming event just in case you have forgotten! 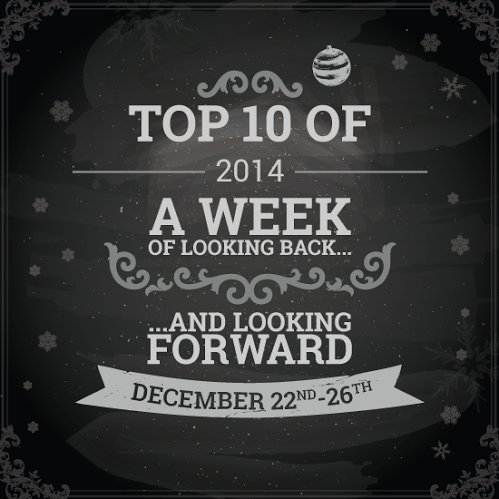 The Top 10 of 2014 starts on Monday, December 22rd! So you haven’t signed up yet? That's okay! You can sign up now. The link to sign-up is below. If you still want to sign up or if you want to learn more please CLICK HERE. We hope have as much fun with these posts as we do!